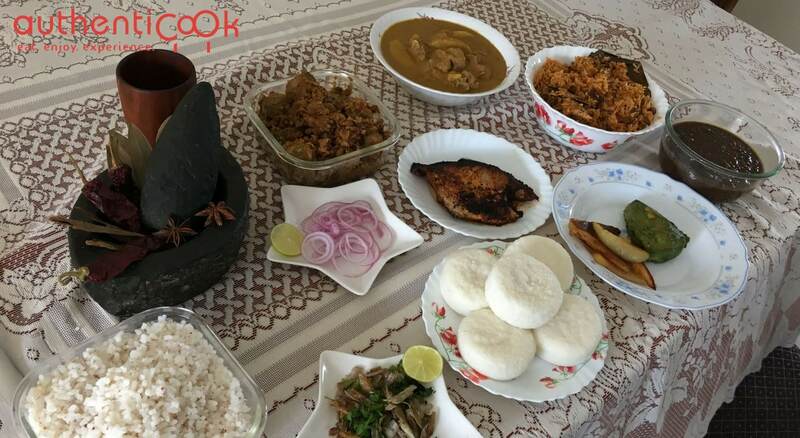 Welcome to the humble abode of Authenticook home-chef Rosita in Malad West in Mumbai where you will get to enjoy authentic North Goan dishes such as Mutton Vindaloo, Chicken Cafreal, Sannas and more! Rosita hails from the small village of Agarvado in North Goa. The cuisine that she will be serving is what she has grown up eating. She lays a lot of emphasis on the masalas and all of them are made by her at home from scratch, be it the Reacheado or the Xacuti. At her table, she will share with you stories about Goa and how it used to be back home. It is going to be a typical Goan home-dining experience where she will be serving the meal on plates made of dried leaves and will make sure that you relish authentic food to your heart's content.